Student ResourcesIt All Begins With YOU! Join more than 225,000 high school members in over 5,300 chapters across the world who are preparing for careers in marketing, finance, hospitality, management and entrepreneurship. With community service projects, competitive events, educational conferences, leadership positions, networking and social media, you’ll attain the knowledge and skills you need to be college and career ready. Simply ask your local DECA advisor at your school how to join your chapter today! 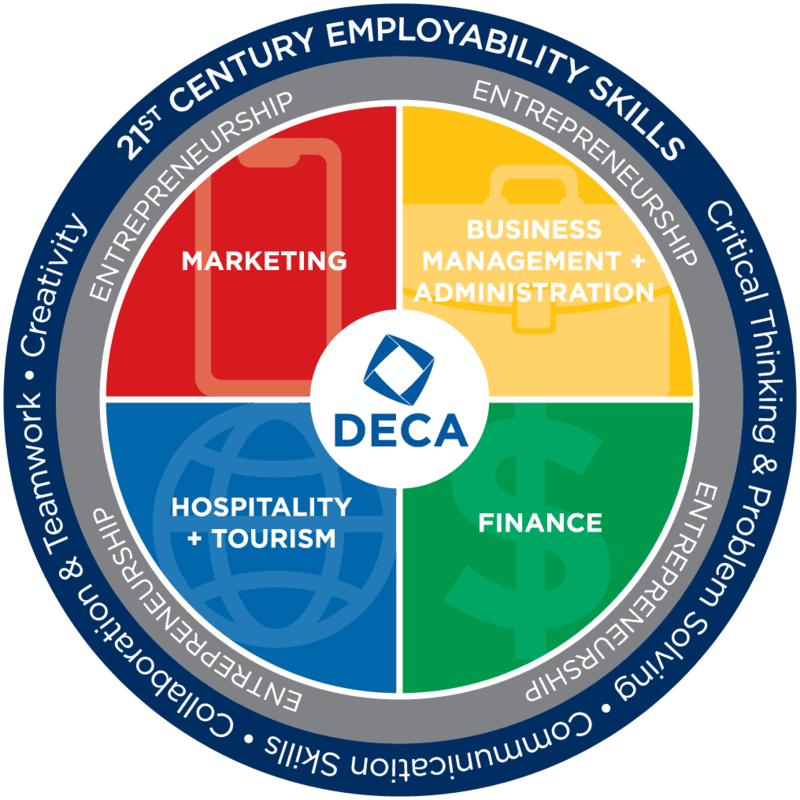 Anyone with an interest in marketing, finance, hospitality, management or entrepreneurship should join DECA! Being a DECA member will put you a step ahead of the competition by giving you real-world practice and industry connections. The annual dues to be a Pennsylvania DECA member are $16. This is comprised of an $8 DECA Inc. fee and an $8 PA DECA fee. Please note that chapters have the ability to include an additional chapter fee, thus raising the membership fee amount above $16. What is the deadline for submitting DECA membership?